Awareness lectures are conducted all year round through the RACJ and its DTC. The RACJ also takes part in all local seminars related to road safety , transportation and the environment. Awareness lectures delivered by drivers training center. Awareness lectures organised by government organisations and NGO’s. The RACJ is sharing the expertise with other institutions in the region by presenting the RACJ experience at regional seminars and workshops. Yearly IRU – LAS seminars in Egypt. Yearly IRU Academy ATI Seminars. 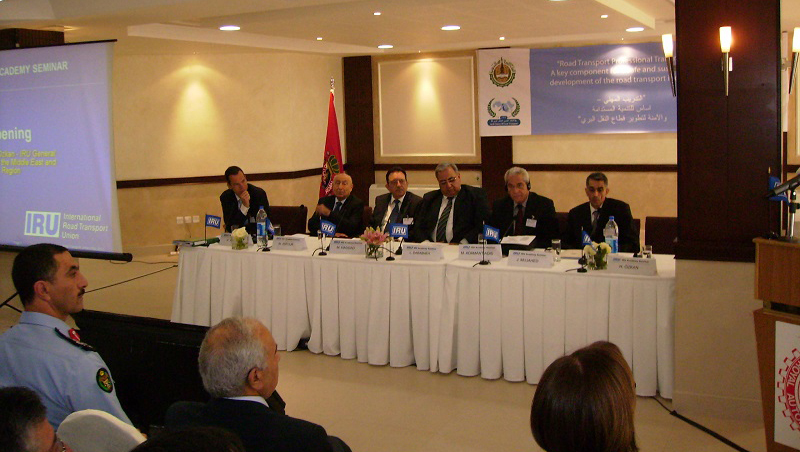 The RACJ takes part in international seminars and conferences and occasionally organises such seminars in Jordan. IRU Academy and ATI Seminar May 2012 Amman . 7th IRU Euro-Asian Conference on Road Transport in Amman 2013.